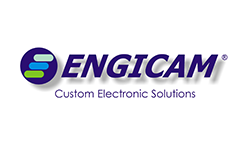 ENGICAM, founded in 2004 with the aim of providing design services of electronic systems. Considering customers as partners, allows to develop successful collaborations with the major companies in fields of consumer, automotive, marine and railway, and with other small and medium companies operating in niches of the industrial market. Using cutting-edge components, investing in know-how required for the implementation of systems always more integrated and with the use of the latest generation devices, ENGICAM is an ideal partner in all areas of application that need solutions for the development of competitive products.